Green sea turtles have reclaimed the beaches of a South Atlantic island, University of Exeter ecologists recently reported in the journal Biodiversity and Conservation. 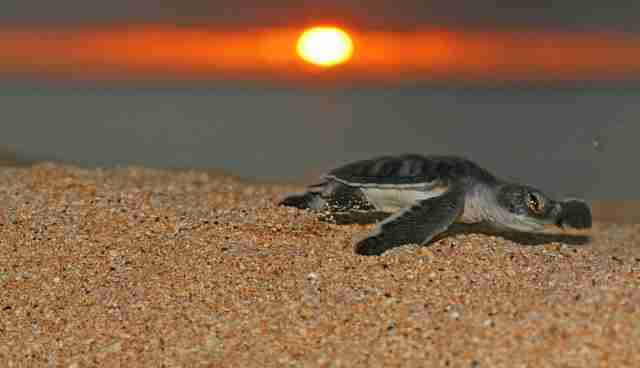 Some 24,000 nests dot Ascension Island's shores every year, making the U.K. territory one of the largest nesting sites for green sea turtles in the Atlantic. "The increase has been dramatic," says Sam Weber, an ecologist at the University of Exeter and an author of the study, in a press release. 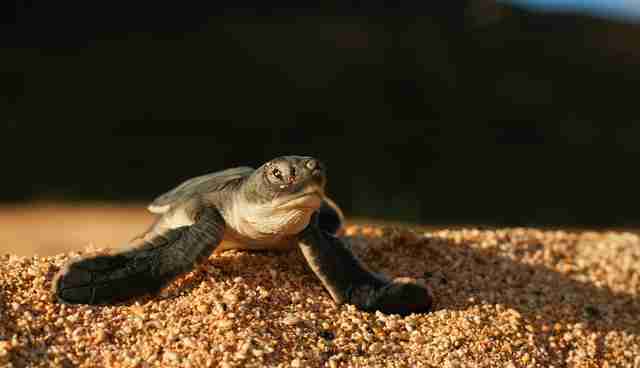 "Whereas in the 1970s and ‘80s you would have been lucky to find 30 turtles on the Island's main nesting beach on any night, in 2013 we had more than 400 females nesting in a single evening." 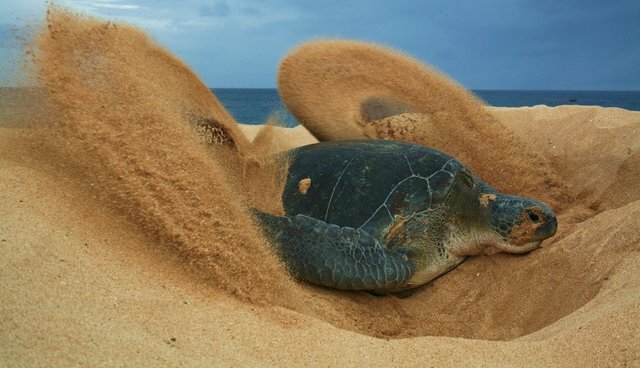 Yesterday, Ascension Island enacted legislation that establishes nature reserves along three beaches, where the turtles nest in large numbers. The government of Ascension Island -- a 34-square-mile island colonized by the British in the 1800s -- has been concerned with protected these reptiles since 1944, when it made harvesting turtles illegal. (Before World War II, British sailors would capture sea turtles for food, according to University of Exeter marine ecologist Annette Broderick.) But it wouldn't be until 1977 when scientists started monitoring the health of the sea turtle population with nest surveys. Between 1977 and today, report the researchers, the population of green sea turtles increased by a factor of six. The 70 year delay may seem surprising -- until you consider that green sea turtles reach sexual maturation later in life, after an estimated 20 to 50 years. "Because sea turtles take so long to reach breeding age," Weber says, "we are only now beginning to see the results of conservation measures introduced decades ago. The scientists caution that the results shouldn't be a "cause for complacency" -- though they certainly are heartening. "It just goes to show how populations of large, marine animals can recover from human exploitation," Weber says, "if we protect them over long enough periods."